The biggest band in the land. 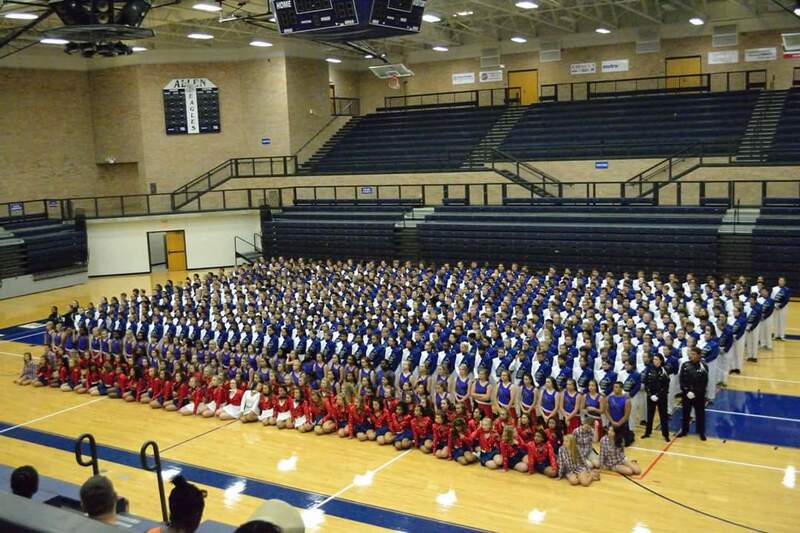 At 700+ members, the Allen, TX high school band is absolutely gigantic. It takes a lot to move this band not only from place to place, but also on the field. Just think about how many sheets of drill paper they need!?! Good luck Allen Eagle Escadrille on your upcoming season. We expect at least four press boxes to need repair this year after you blow them over.